Minister Julie Bishop visited Moerlina School to deliver letters of response to our Years 4-6 students, who wrote to her last term on social issues about which they were concerned. 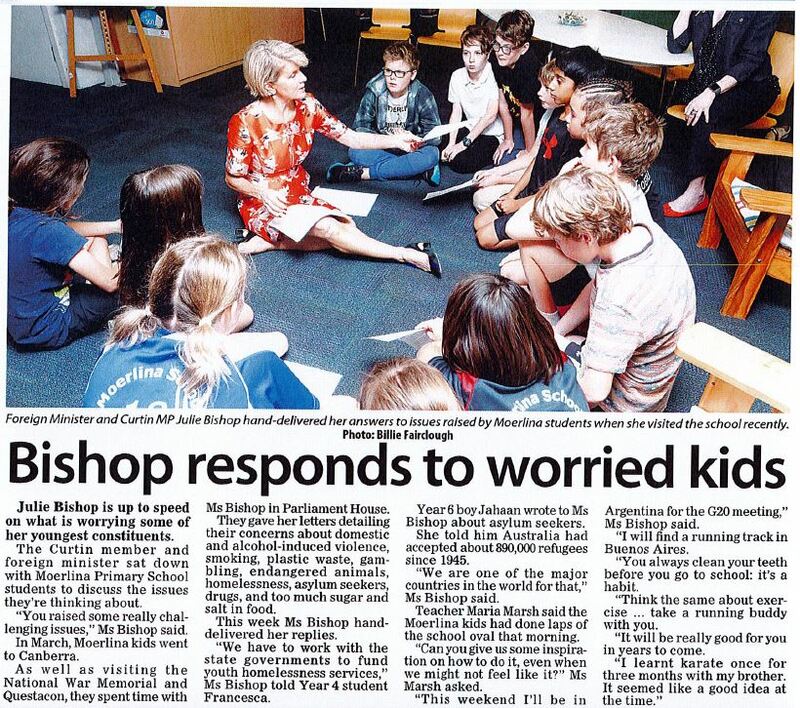 The letters were handed to Minister Bishop by the children when they were in Canberra. Click here to read the article featured in The Post.